Cárnicas Medina, a company that produces and sells meat, will renovated its distribution centre in Buñol (Valencia) with a new automated warehouse for boxes. To achieve maximum productivity in this installation, the company will set up Easy WMS, the efficient warehouse management software (WMS) of Mecalux in charge of managing all operations. The warehouse will comprise three aisles with 43 m long, 10 m high double-depth racks along each side. 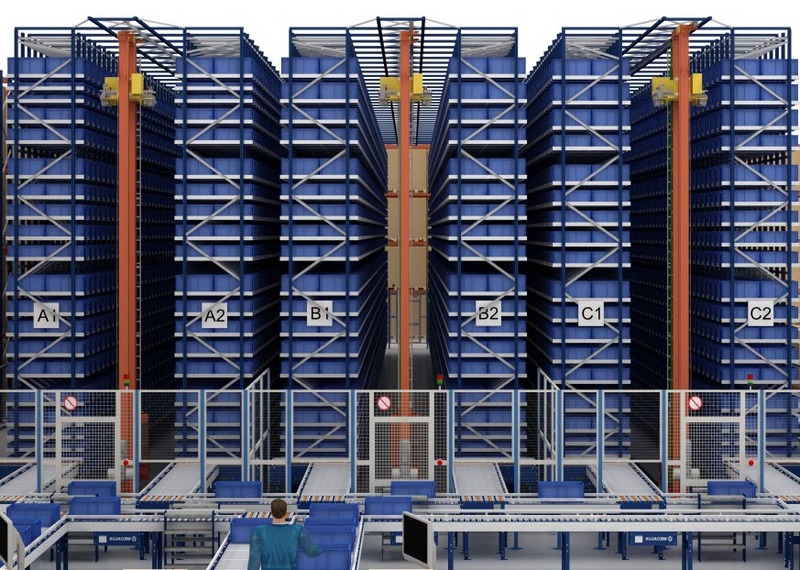 The racks will be able to house both plastic containers and cardboard boxes, offering up 16,416 locations overall. In each aisle, a twin-mast stacker crane will be in tasked with inserting boxes in the locations, as well as their extraction and delivery to picking stations or to dispatch. The WMS of Mecalux will manage all the warehouse processes automatically. It will manage the entry of the goods, assign product locations depending on their rotation and organise product storage, retrieval, picking and dispatches. “We met the people from Mecalux many years ago, and appreciate the projects they have implemented. We completely trust the company’s technical capacity and its vast experience in its undertaking of our project.” . Cárnicas Medina is a business that was founded in 1973 and specialises in the production and sale of meat products. Each year, it slaughters and quarters close to 230,000 cuts of beef. While its headquarters is located in Leganés (Madrid), it also has a slaughterhouse in Montellos (Galicia) and another industrial complex in Buñol (Valencia).